BUFFALO, MN (Gray News) – For some people, building a snowman is a bit of fun on a winter’s day. For others, like Eric Fobbe, it’s more of a calling. 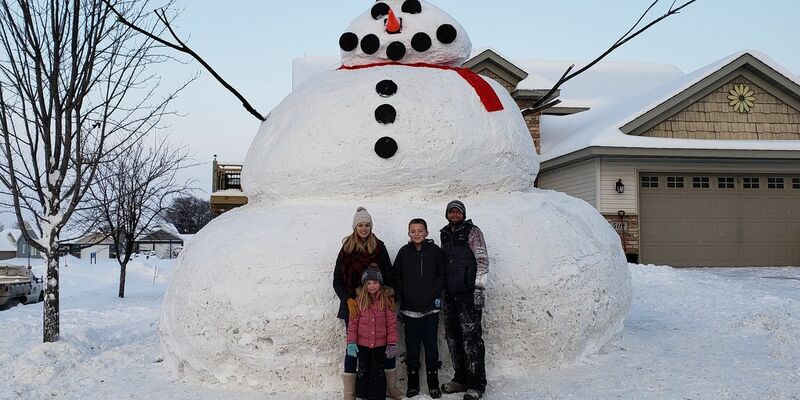 With plenty of fresh Minnesota snow on hand, Fobbe, who’s a general contractor, spent his weekend building a snowman even the characters of “Frozen” would be proud of. His creation is 20 feet tall and farther than that around. Eric Fobbe had plenty of raw material to work with. The Twin Cities-area got hit with up to 20 inches of snow. Buffalo is about 40 miles northwest of Minneapolis. This is the second year in a row Fobbe has gone big in his snowman construction. Last year’s creation was 13 feet tall.